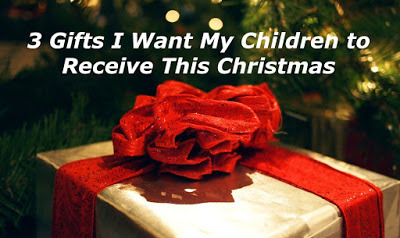 These particular items aren’t on either of their lists this year, but I’ve made my own list of gifts I’d like for our children to receive this Christmas. 1. An appreciation for the present. Now I don’t mean the gifts here! I want our girls to learn to enjoy the moment they are in….not just at Christmas, but in every season. People who are here for us to love and enjoy this year may not, for one reason or another, be here next Christmas. 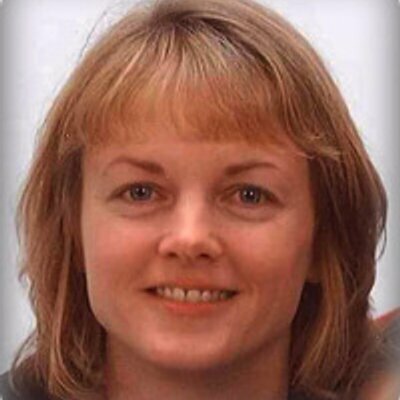 Family members may move away, have to travel out of town, or be too sick to be with us. There will likely never be another Christmas just like this one, so let’s enjoy these moments right now. 2. A vision for the blessings that giving brings. If you’ve experienced the joy of seeing someone be blessed by a gift that you’ve given, then you want others to know that feeling, too. Some people’s personality naturally gives more easily than others, but we all become more like Christ as we learn to give. Just as we are thrilled when a particular gifts delights our child, so we can help him/her choose a present with someone else’s pleasure in mind so that they can realize the blessing of giving. 3. The knowledge that only the Christ of Christmas brings lasting joy. While the presents are fun and the food is delicious and the people are special, on December 26th, it’s all over. After a week or so, the happiness we find in the presents and celebrations – all of which are good – won’t have the same level of joy. The memories will be sweet, but nothing material will fulfill us over the long term. It’s only through a real relationship with Jesus that we find true joy that lasts forever. I, too, could benefit from finding these gifts under the tree this year! 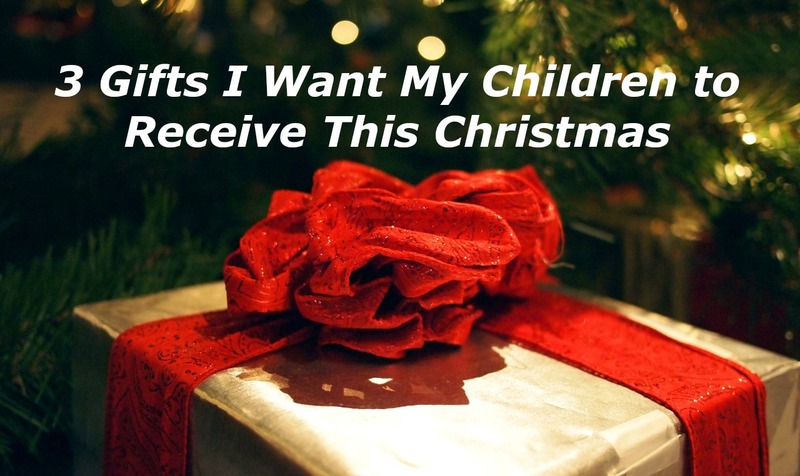 What other non-material gifts can we pass on to our children this Christmas season? I would like to find these gifts under the tree this year, too! Hope you and your family have a wonderful Christmas as well!! We'll be up there for the Sunday morning after Christmas, so maybe we'll see you then! !